Two weeks after the 7-1 loss to Germany in the semfinals of a World Cup on home soil, Phil Scolari's second stint as Brazil manager has come to an end and Dunga's has now begun. 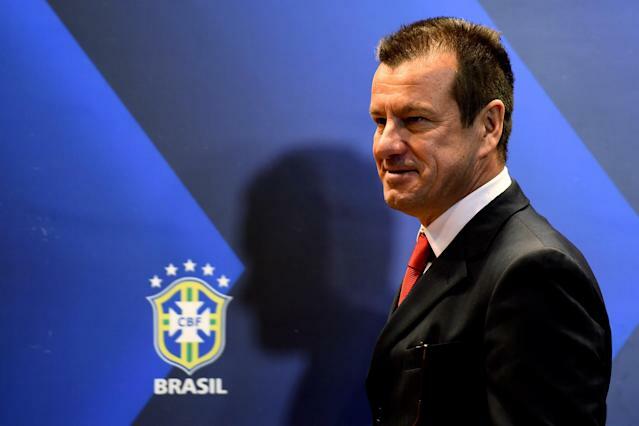 Dunga won few fans during his four years as Brazil manager from 2006-2010, which ended with a 2-1 loss to the Netherlands in the 2010 World Cup quarterfinals, but it seems the Brazilian federation has now realized that losing 2-1 in the quarterfinals is far less embarrassing than losing 7-1 in the semfinals. "I am immensely happy to be back," he told reporters. "I have an outline of what I want. Fans know me and they know I am not going to sell a dream but a reality and that reality is we have to work hard." And now the nationwide effort to pretend that it's still 2010 and the 2014 World Cup never happened gets underway. Everyone's talking about James Cameron's Avatar, Lady Gaga's meat dress, the fact that Justin Bieber hasn't been to jail yet, and Brazil's World Cup plans all being right on schedule. Spain has offered to fully support this plan.